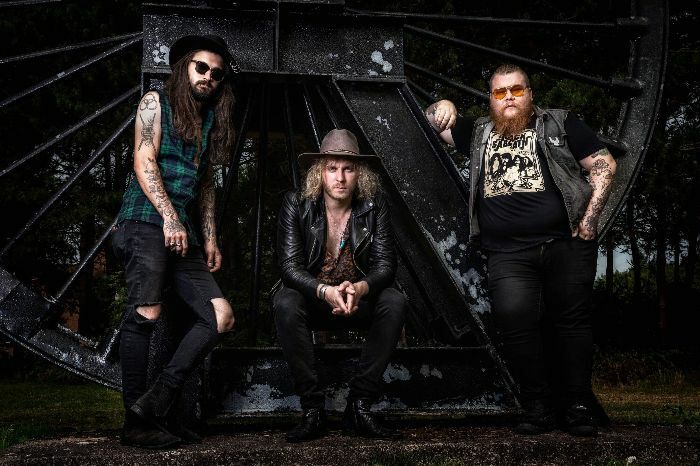 When West Midlands blues rockers The Bad Flowers released their debut album ‘Starting Gun’ in February 2018, the trio quickly rose to become one of the most electrifying blues-rock outfits to emerge from the UK scene in recent history. Prompting high praise from all angles, the band laid waste to a large number of live dates and festivals with a memorable array of raunchy riffs, passionate lyrics and awe-inspiring energy. Tom Leighton, Dale Tonks and Karl Selickis undoubtedly left their mark on the UK rock scene as The Bad Flowers, yet despite gaining reputation for harboring an unmatched display of powerful rock ‘n’ roll grit – both on stage and through stereo speakers – the band needed to evolve…to become something bigger. Emerging into 2019 with a brand new identity and a renewed sense of purpose, Wolf Jaw personify their namesake with a crushing vice of piercing teeth and a grizzly rock ‘n’ roll snarl – a beast with bark as bad as bite! Introducing fans and newcomers alike to their sonic development, The Cannock crusaders seek to thrill and enthrall once more with the release of the first single under their new identity – the thunderous riffs and shout-worthy chorus of ‘I Lose My Mind’ will undoubtedly leave a lasting impression on fans as an early taste of Wolf Jaw’s as-yet-unnamed sophomore studio album. If the fresh taste of rock ‘n’ roll rebellion presented in ‘I Lose My Mind’ wasn’t enough to get fans salivating with excitement, Wolf Jaw have also been announced as performers of Download Festival 2019’s Dogtooth Stage later this year! A new name, a new single and a slot at one of the UK’s biggest rock festivals? 2019 might just be the year of the Wolf! 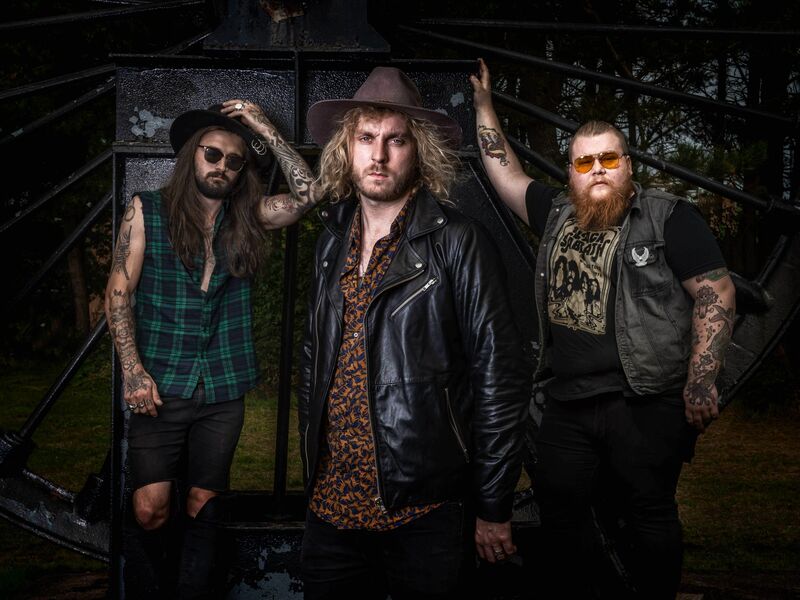 Wolf Jaw (formally The Bad Flowers) formed from the depths of the Black Country in 2014, forging a sound steeped in the raw, passionate energy of the Black Country’s 70’s heroes, while simultaneously staying in tune with 21st century rock sensibilities. Quickly rising up the ranks, 2016 saw Wolf Jaw release a self-titled EP and experience a breakthrough in live shows. Opening for Canadian rockers The Sheepdogs in Birmingham, the band went on to perform with the likes of Crobot, Jared James Nichol, Scorpion Child, and then on the stages of Hard Rock Hell Festival. As the trio set about recording their debut album ‘Starting Gun’ at Vigo Studios – produced by Adam Beddow (Diamond Head) – they have since performed with Toseland and Stone Broken in 2018, as well as hitting several music festivals including Steelhouse, Planet Rockstock and Stone Free at London’s O2 Arena. Stay tuned for more on Wolf Jaw!